On the 31st of March, the Vodacom Blue Bulls take on the DHL Stormers at Loftus Versfeld, and with your help, we are going to try and fill up the stadium, in order to bring some relief to drought-stricken Cape Town. Will YOU be there? 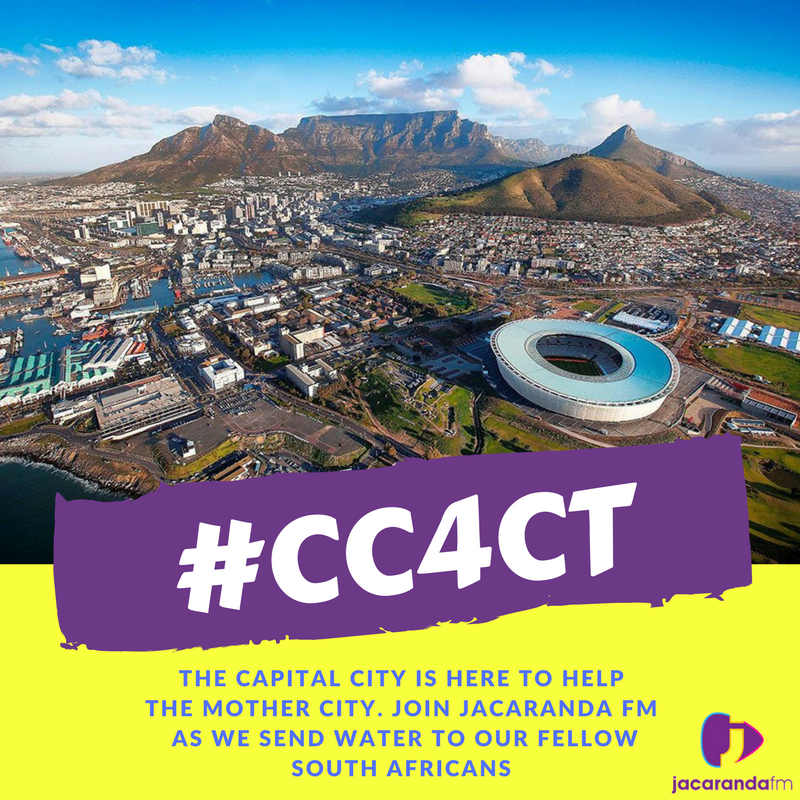 The city of Cape Town's water crisis has reached a serious level and many are trying to pull together in order to help their fellow South Africans down south. The water crisis has reached a serious level and many are trying to pull together in order to help their fellow South Africans down south. With the 31st of March around the corner, we will be needing your help in order fill up Loftus. We want you to bring your family, friends, and colleagues as we come together to help those in Cape Town. Breakfast Show hosts Martin Bester and Tumi Morake heard from a number of their listeners who believe that we can fill Loftus Stadium up with 50,000 people. More so, Martin and Tumi caught up with former Springbok Bakkies Botha, who certainly knows the feeling of a 50,000-strong crowd cheering you on. Thanks for you support, Bakkies!